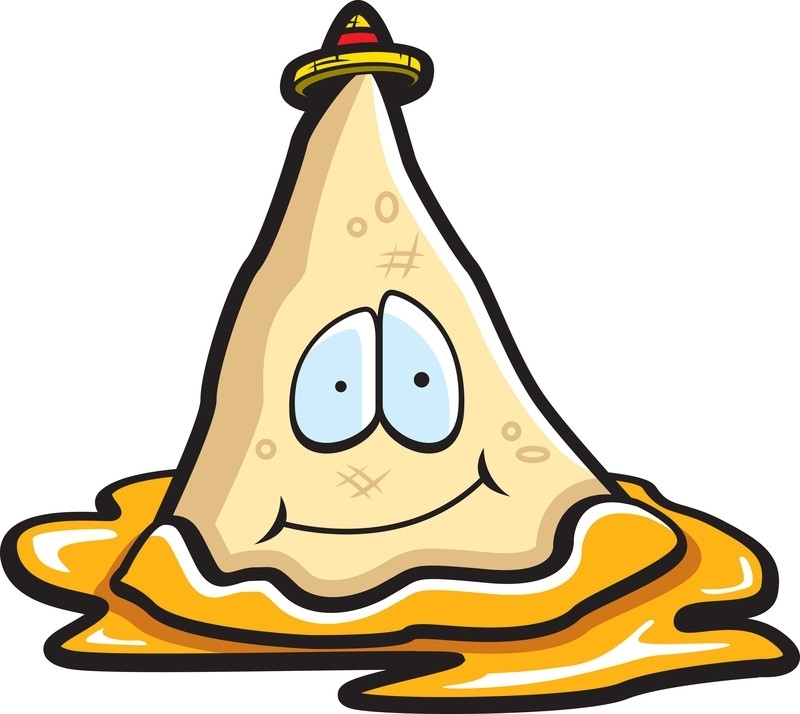 Whenever I ask a dining companion what they feel like eating and the response is something along the lines of “a burrito”, I feel my nacho review juices start flowing. This particular evening brought us to Como Esta, a small taqueria in mid-town Palo Alto. I ordered the vegetarian nachos and waited with the tempered patience of someone about to receive a surprise gift. Now, I’ve discovered there are two phases to my nacho assessment: 1) the moment when I first lay eyes on the nachos and 2) the moment when I first taste them. I would be quick to say that phase 2 holds more weight in my reviews, if I weren’t acutely aware of the fact that I’m often swayed by phase 1. At Como Esta, this first visual phase held both positives and negatives for me. My first thought was positive – yay! lettuce! Then I noticed the sour cream applied from a squeeze bottle. Definitely negative. I don’t even know why so please don’t ask. It’s just a negative. I get it for the convenience factor. I just don’t like it. Similarly, the second tasting phase also held highs and lows, ups and downs, good and bad. The chips were stale (boo!) but the guacamole was tasty. There was some good fresh salsa, but not nearly enough of it. I strongly dislike being forced to play favorites with some bites and not others. Will I give this bite a scoop of salsa? If I do, I know it will be at the expense of the next bite because there clearly isn’t enough to go around. The refried beans were good and were appropriately mixed with melted cheese throughout the lower layers. However, topping the entire pile was shredded cheese. Not melted. Not even warm. Just sprinkled shredded cheese. Odd. It mostly just fell off when I tried to scoop it up but what I did get on a chip I assessed to be on the hard side and cold. An ineffective strategy on their part. Just trust me when I say this was all kinds of nacho wrong. 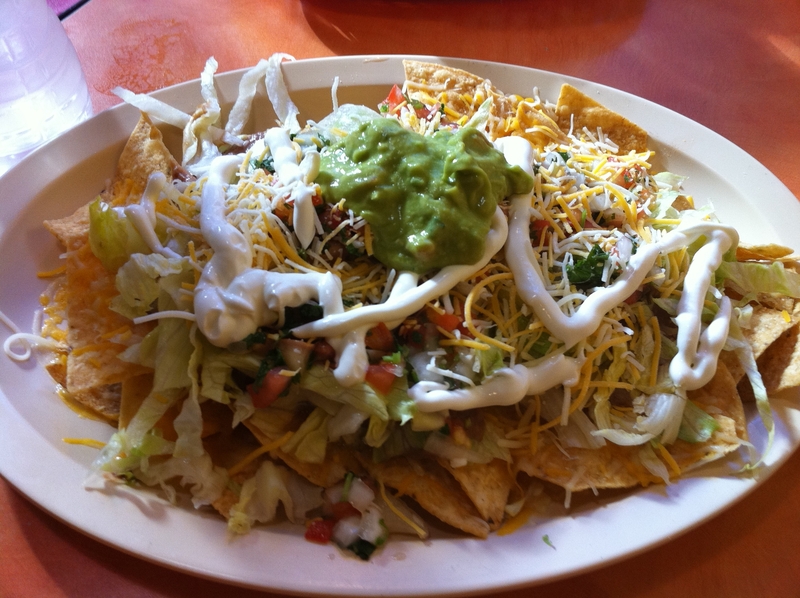 This entry was posted in Bay Area and tagged bay area, food, nachos, Palo Alto by nachomission. Bookmark the permalink.